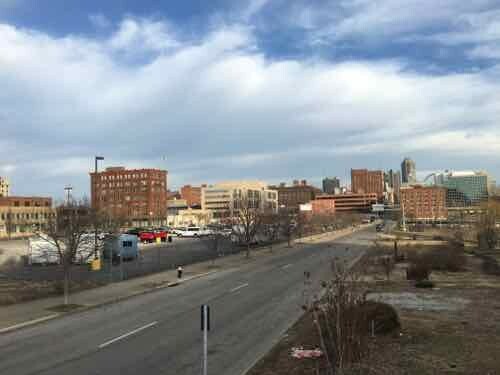 The site they shouldn’t consider is the North riverfront one previously targeted for a significantly larger NFL stadium — we shouldn’t tear down buildings when we have vacant land available. We have land, mostly state owned, without any buildings and a target for redevelopment for years already. 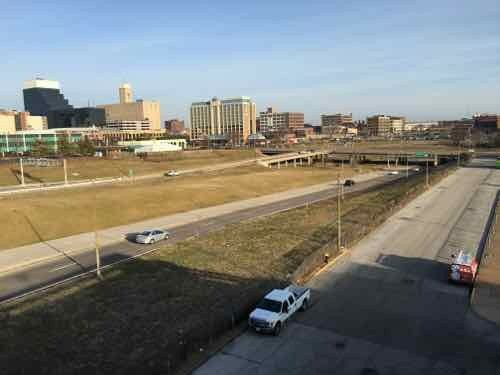 I’m talking about the 22nd Street Interchange area — an area on the West side of downtown I’ve written about numerous times over the 11+ years. Great views to the East. What physically needs to happen for this to work? What politically needs to happen for this to work? 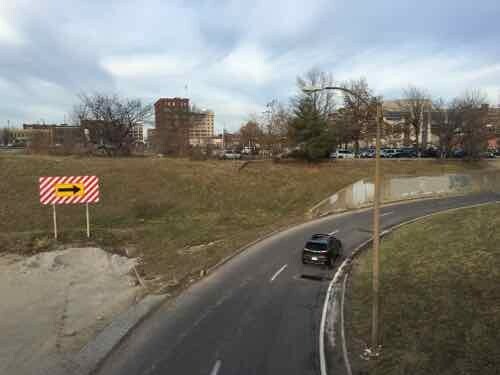 Looking down from Market to where the 22nd Parkway was to continue North, and tight ramp leading to 20th at Chestnut. I think this location offers the chance to create a new neighborhood and provide the environment/experience desired by the MLS. 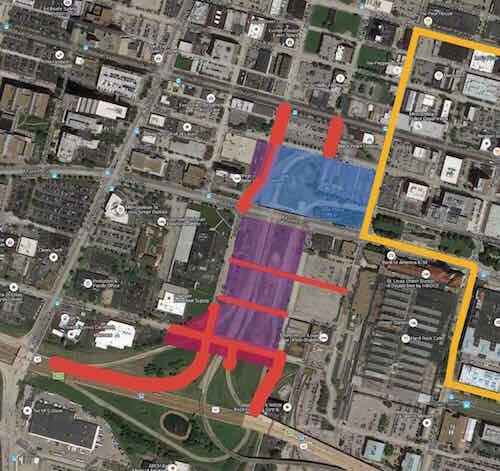 IF downtown is the best location for another little-used stadium and IF public participation is limited to restoring the historic street grid and related utilities (no public financing of the construction of the physical facility), then, yes this is a GREAT IDEA! Each of the 20 MLS clubs will play 34 games, 17 at home and 17 away. 17 days out of 365 is little-used in my world . . . better than the NFL, but nowhere near MLB, the NHL or the NBA . . . and “can” be used and “actually” used are two different things . . . Articles on smaller soccer-specific stadiums suggest college & high school events, corporate functions, etc. As I said, I think the stadium should be privately-owned — not publicly owned. 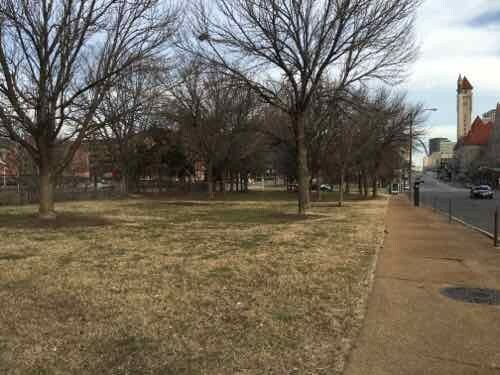 The perimeter should be designed to encourage active uses 365 days a year. 80-90% of this land is owned by Missouri, I’d like to see it be more productive — generating activity & income. I do think that’ll take some investment by taxpayers but we’ve always known that would be necessary to fix this decades-old mistake. I like it! Makes total sense. Excellent use of the old Pevely Dairy site, too. 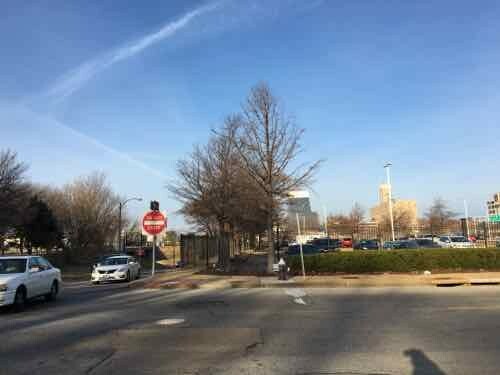 Creates a potentially attractive and exciting entrance into STL from the highway–a HUGE improvement, as Donald would say. 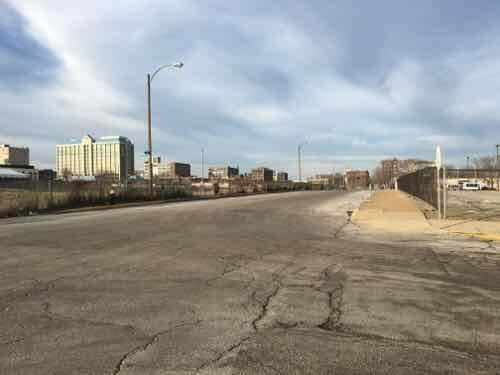 Brings a ready crowd to the new Union Station re-development and creates an incentive for a developer to do something worthwhile with the nearby Harry’s site. Easy access for city and county residents in and out. 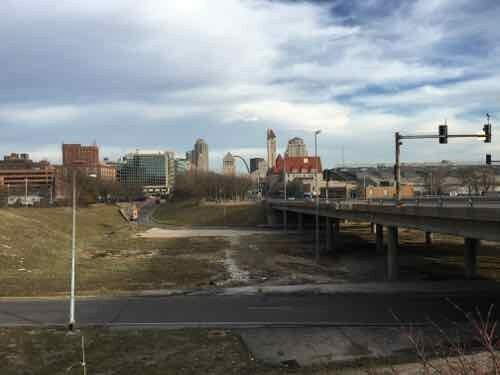 As strong as soccer appears to be in STL, the new stadium would also serve as a venue for local and regional grade school/high school and university-level soccer championship playoffs/competitions. Poor use for this site (which has about the poorest use possible right now). 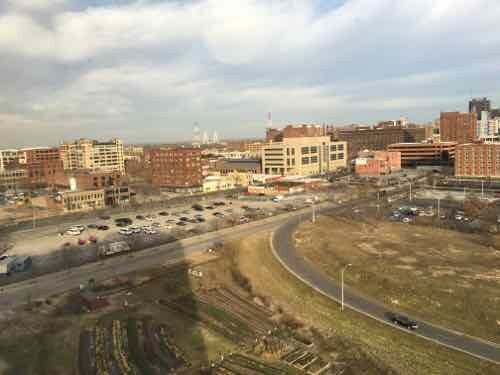 The advantage that exists for this site as office/commercial by virtue of the aborted interchange effort(s), is that any new construction won’t need [insert number] floors of built-in, free-standing or surface parking above ground level, as most developments now do in excess. Instead, all parking can be built “below grade” by virtue of the existing topography. 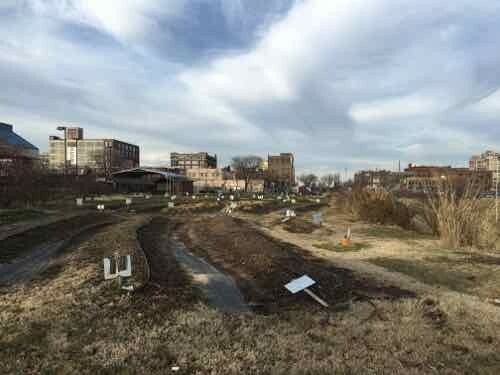 Rather than filling it in with dirt and building out from there, development for this site should instead be modeled after that of much of downtown Chicago. 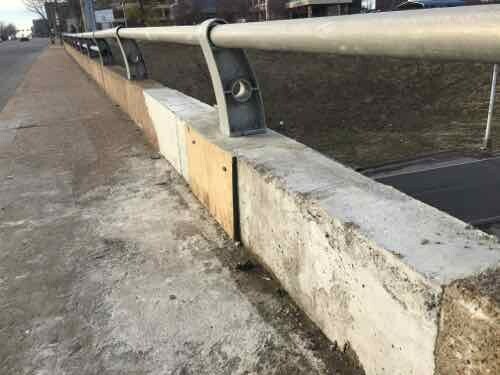 All your ugly but necessary infrastructure components — parking, loading docks, structural support, garbage removal, electrical, etc. — can be hidden below. Basically the whole site, from 64 to Pine could (and should!) be built out in this way. For this site, yes, I’m willing to wait for it. 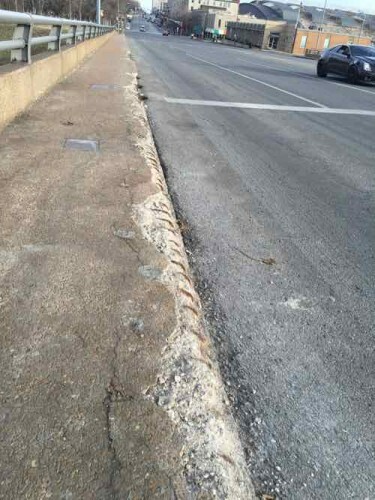 Parking can still go below grade. Yes it can. In pretty much every case of new development it could. But it rarely — very rarely — does. 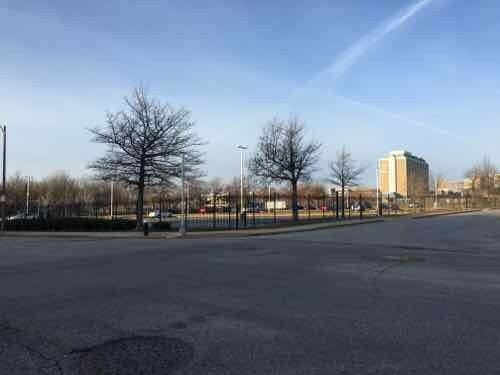 Under your plan, would parking be built under the stadium? No chance there. 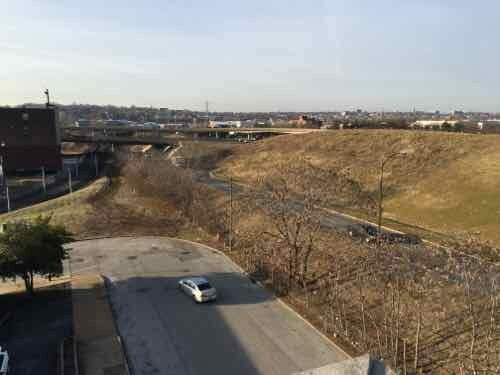 If the remaining area is brought up to grade, would those eventually developing the area south of the stadium then dig down and go below grade? Possible, sure, but incredibly unlikely, and I’ll point to basically every St. Louis construction project of the last 25 years as proof. 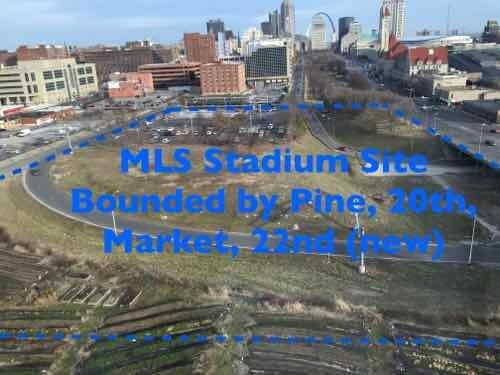 Then again, I just don’t like this site for a soccer stadium (and I’m still actually on the fence about whether MLS would succeed in St. Louis, even with all its oft-heralded soccer support and heritage). Much like many TIF proposals, the region already has a professional soccer team playing at the Soccer Park out in Fenton. Instead of building a new, competing, facility downtown (rendering the existing one obsolete for pro use), why not just invest in additional seating/better facilities out there? The least-costly line-item of a below-grade parking budget is the excavation. 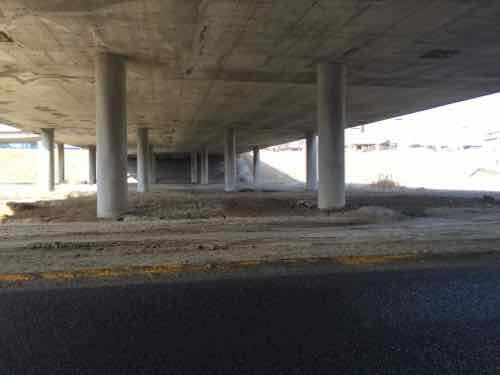 Exterior walls and lids of below grade parking require extensive reinforcing and greater wall thickness, far beyond the requirements found in above-grade parking. Add to that the costs of mechanical exhaust operating 24/7 and 100 % artificial lighting, burning 24/7. The exterior wall waterproofing and below-the-slab waterproofing/lid waterproofing requirements are major. Major material costs and MAJOR application costs. Cost of building below grade parking is easily 75% higher than that of conventional garage construction; and operating costs of below grade parking are more than twice that of a conventional garage. Someone’s gotta come up with some big bags of $ !!! …. This is the location I am in favor of also (Not that my opinion matters). I am not an architect but I have created a small and VERY simple rendering. If we use the urban form of Providence park in Portland and the architecture of Seattle, we can deliver one of a kind atmosphere and views, second only to Busch. 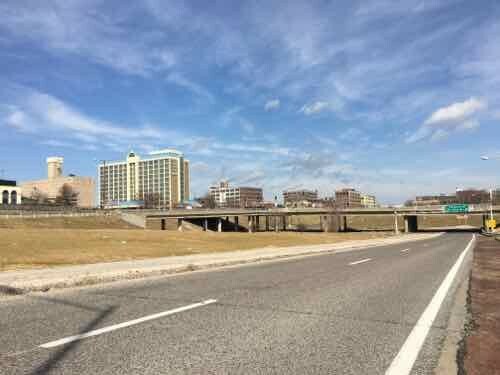 I have also drawn in some strong development which I think would be likely considering other neighboring developments.